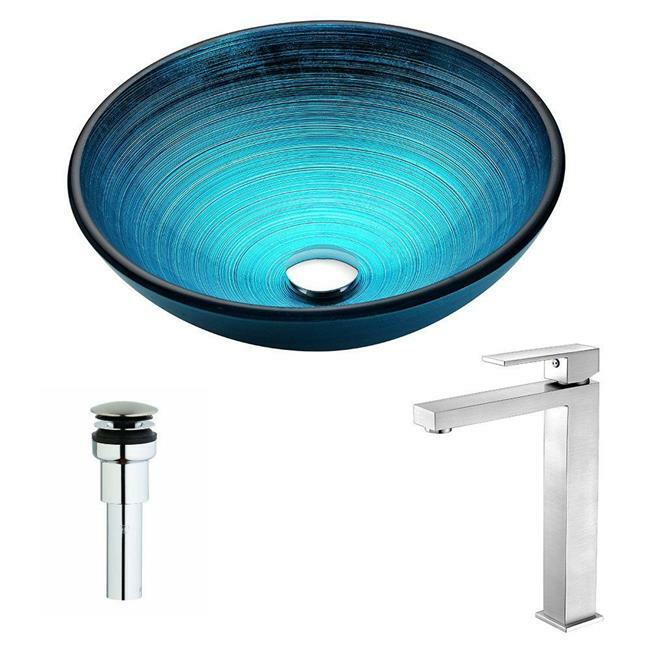 The ANZZI Enti Series sink is a traditionally crafted round vessel sink adorned in a Lustrous Blue Finish. Coupled with the ANZZI Key Vessel Sink Faucet, this combination provides pure elegance in any bathroom. Each ANZZI vessel sink and faucet is formed using Rhino Alloy certified materials for strength and quality along with high tempered Deco-Glass. The result is a perfectly shaped dynamically captivating vessel and faucet centerpiece for any bathroom counter.